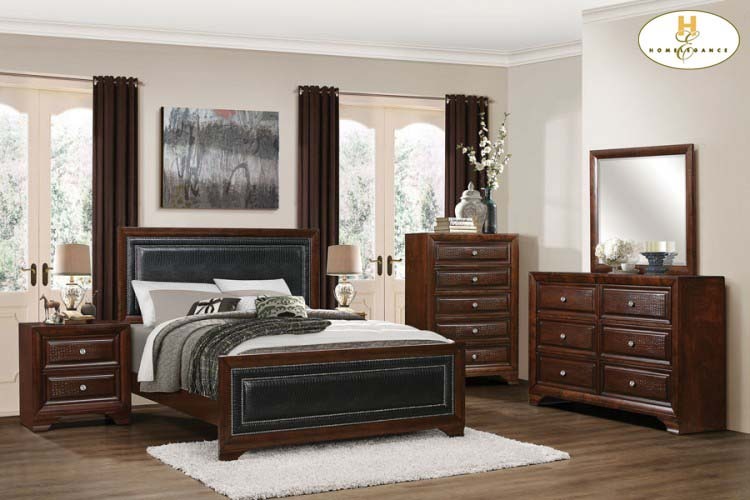 With the aesthetic of modern traditional styling, the Owens Collection will blend effortlessly into your chic bedroom. Trend-forward alligator embossing features prominently on the case good fronts. The matching black alligator bi-cast vinyl accented bed with brushed nickel nail head accenting further lends to the distinct look of the headboard and footboard. Frame design case goods feature brushed nickel hardware. Harmonizing the overall look of the collection and lending a classic touch to the design is the warm cherry finish.